A bok was given for review for my honest opinion. No other compensation was given. Declaring the year of the sloth! 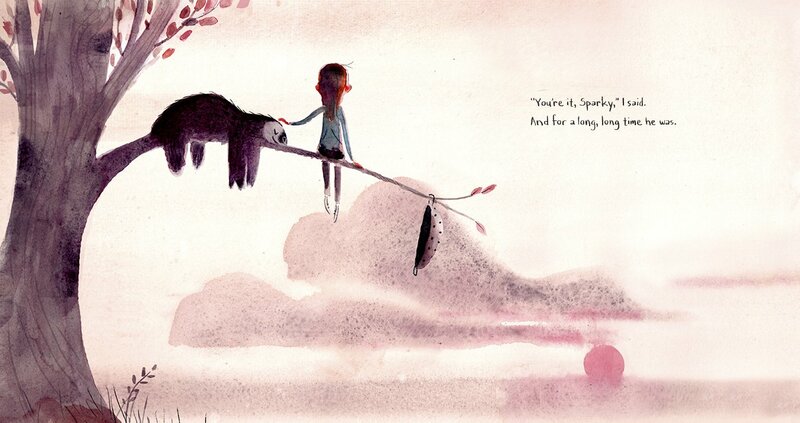 Jenny Offill, the ingenious author of 17 Things I’m Not Allowed to Do Anymore and Chris Appelhans, a brilliant illustrator and production designer of the Coraline movie, have joined together to create SPARKY! (Schwartz & Wade Books/ On-sale March 11, 2014 / $16.99/ Ages 4-8), a hilarious, touching picture book perfect for young animal lovers. Like the Caldecott Medal─winning Officer Buckle and Gloria, SPARKY! stars a pet who has more to offer than meets the eye. When our narrator orders a sloth through the mail, the creature that arrives isn’t good at tricks or hide-and-seek . . . or much of anything. Still, there's something about Sparky that is irresistible. Sloths may not be the best pets, but they are certainly the “it-animal” of the moment. SPARKY! is as adorable and quirky as a sloth. 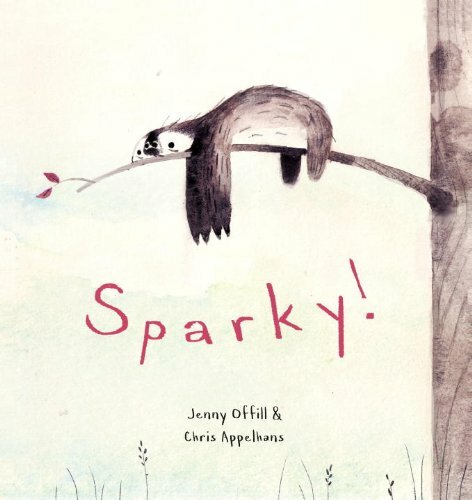 The cuteness galore of the artwork and witty text will have both adults and kids alike falling in love with SPARKY! This year, don’t be a sloth, read a book! JENNY OFFILL is the author of two previous picture books: 11 Experiments that Failed, a Winter Kids’ Indie Next Book and a Bank Street Best Children’s Book of the Year; and 17 Things I'm Not Allowed to Do Anymore, a Parenting magazine and Bank Street Best Children’s Book of the Year. Her second book for adults, Dept. of Speculation, is due out in January 2014. She lives in upstate New York. Discover more at JennyOffill.com. CHRIS APPELHANS has worked on several films. He was an illustrator and production designer for Coraline, an environment designer Fantastic Mr. Fox, and a visual development artist for The Princess and the Frog. This is his first picture book. He lives in Los Angeles. Sparky! 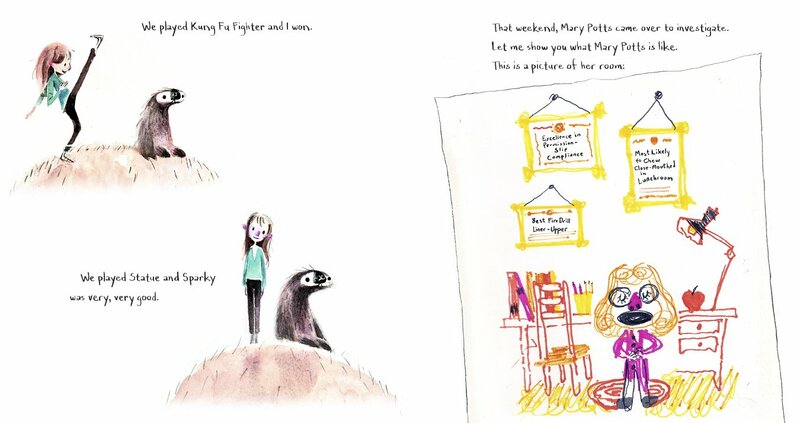 is a hilarious, touching picture book perfect for young animal lovers. Like the Caldecott Medal-winning Officer Buckle and Gloria, Sparky stars a pet who has more to offer than meets the eye. When our narrator orders a sloth through the mail, the creature that arrives isn't good at tricks or hide-and-seek . . . or much of anything. Still, there's something about Sparky that is irresistible. Buy It: You can purchase Sparky! for $11.97 from Amazon.com.